Daphne, Alabama is a city on the move, and with good reason. The city’s population has increased by 30 percent over the last few years, but during this time it has maintained its small-town feel. 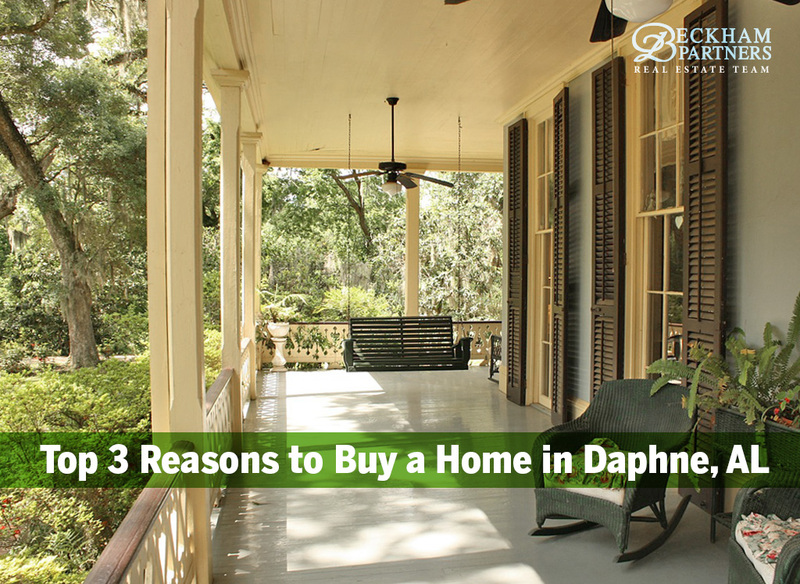 If you’re considering a move, we’ve got three reasons you should consider browsing the homes for sale in Daphne, AL. JOBS. Daphne and its surrounding communities offer a thriving economy. The city boasts a wide variety of industry, including software development firms and business parks offering steel buildings, manufacturing and more. Rural areas just outside of Daphne proper boast family farms, cattle and dairies. The city has an active economic development program that continues to increase job opportunities for residents and newcomers. RECREATION & EVENTS. Daphne, AL residents can take advantage of a wide variety of activities. Located on the eastern shores of Mobile Bay provide ample opportunity for fishing, boating and other watersports. Annual festivals, such as the Jubilee Festival, offer a fun way to connect with the arts community, as well as businesses and fellow citizens. During the Lenten season, people come from far and near to experience very family-friendly Daphne Mardi Gras parades and let the good times roll! Fall Friday nights are filled with football games and cheering on the Daphne High School Trojans, who have already claimed two AL State Championships. There’s plenty of activities to keep you as busy as you want to be when you purchase Daphne, AL real estate, and become a resident of this great community. With so many reasons to call this area home, why wait? Get your Daphne home search started now and contact The Beckham Partners Team of Bellator, a top Daphne, AL real estate firm who will help you find your dream home.